Easy to cook at home, lobster is a succulent and delicious treat for any occasion! 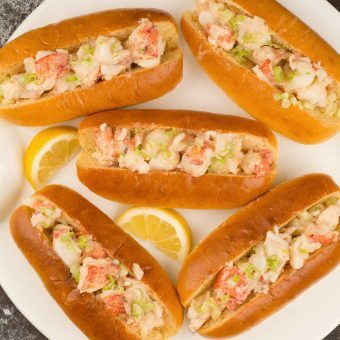 Find simple lobster recipes from lobster tail to lobster mac and cheese, as well as a recipe for a Stovetop Clambake which includes all your shellfish favorites! Surf and Turf has been classic steakhouse fare since the 1960s yet it’s surprisingly simple to make at home. 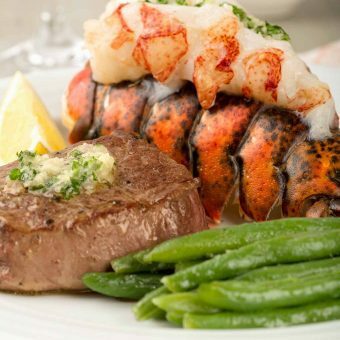 It’s the perfect choice for a special occasion dinner and our easy recipe instructions ensure that both the filet and lobster tail are perfectly cooked and full of flavor. A large stockpot is all you need to make a delicious, New England-style clambake complete with lobster, clams, mussels, sausage, potatoes and corn. 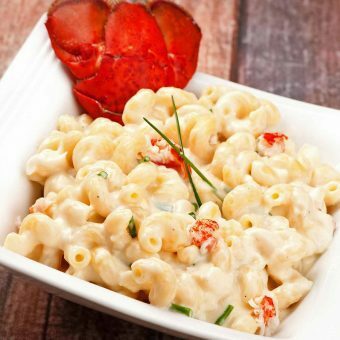 Chunks of tender lobster combine with corkscrew pasta and a rich, creamy sauce of Gruyére, mascarpone and fresh chives to make a decadently rich and flavorful stovetop mac and cheese fit for any special occasion. 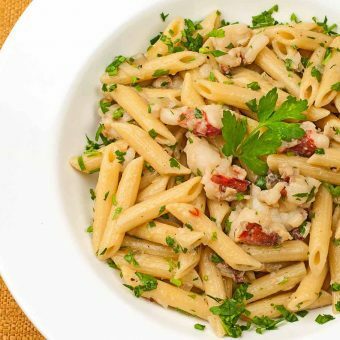 This easy pasta dish combines bits of tender lobster, sautéed shallots, white wine and a drizzle of white truffle oil to make a simple but elegant dinner for two.